Well, the pots and pans are put away and the new year is already started! Our kids always invite their friends to sleep over and share in the fun. We have a tradition of banging pots and pans to ‘ring’ in the new year. It’s loud and fun…and loud! AND IT IS FREEZING in most places! What is the temp where you are? It is a great question. And it is the RIGHT question. She wasn’t blaming the weather – she was looking for a solution. In our FB group, we have been doing a fun challenge called #patyourownback where you post something that you did that you are proud of! It’s helped us all focus on our wins and success ….and so we will see more of them! Just for fun, each post made by Monday gets you a chance to win $100 to spend in an indie business! Christina Schaaf Widemark shared this great tip there – and it will help you too! There are 2 key points to notice. First, she didn’t despair or complain about the lack of sales – she took action. Second, her action was specific and effective to drive people to purchase! She shared specific items and specific prices. I recommend using the WAS/IS comparison. It also works great to mention why YOU like the product. PLUS as a bonus – you can do it once and use it twice – send it out as an email and post it in social media. Yahoo!! One more gift through Monday – $50 for you! You can save $50 through Monday – use SAVE50 (all caps). And also thank you! 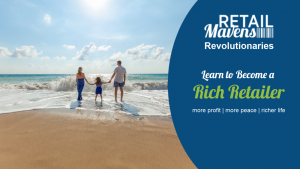 It means the world to me to be able to share with you knowledge and expertise that I know will increase your success and profits and get you the life you want! I am grateful for you. Don’t hesitate to reach out to me. I love to hear from you.